The theme for 2018 is “Science, a Human Right”, in celebration of the 70th anniversary of the Universal Declaration of Human Rights (art. 27), and of the Recommendation on Science and Scientific Researchers. Recalling that everyone has a right to participate in and benefit from science, it will serve to spark a global discussion on ways to improve access to science and to the benefits of science for sustainable development. In 2018, the World Science Day for peace and Development will focus on the theme “Science, a Human Right” in celebration of the 70th anniversary of the Universal Declaration of Human Rights (art. 27), and of the Recommendation on Science and Scientific Researchers. Recalling that everyone has a right to participate in and benefit from science, it will serve to spark a global discussion on ways to improve access to science and to the benefits of science for sustainable development. The UNESCO Recommendation on Science and Scientific Researchers is an important standard-setting instrument which not only codifies the goals and value systems by which science operates, but also emphasizes that these need to be supported and protected if science is to flourish. A first Recommendation was adopted in 1974, and a revised Recommendation was adopted on 13 November 2017, superseding the 1974 text. This Recommendation has a particular value today, including for developing countries in building up their scientific skills and institutions. The Recommendation upholds the principles of the Universal Declaration of Human Rights - that everyone has the right to participate in and benefit from science - and provides a useful checklist of political and institutional requirements to ensure access to science education, and fundamental rights such as the right to be a scientists, to protect intellectual property, to share scientific advancements and accademic freedom. "The astonishing progress made by science in recent decades has changed our lives. Science and its countless applications now condition all aspects of human life. The resulting innovations are an opportunity for the development of our societies. They are improving our well-being, facilitating daily life and pushing back borders that seemed immutable in the fields of medicine, transportation, communication and knowledge-sharing. They are an engine of growth and wealth. However, because science today is the beneficiary of the human intellect which has been seeking, exploring and inventing for centuries and millennia, it belongs to all humankind, it is a common good whose fruits must be of benefit to all." "Science is our best hope for a bright and equitable future. The challenges are grave, and we must all work together to tackle them. We must share our knowledge and support one another so that we may realize our full protential as a human family." This World Science Day for Peace and Development 2018, UNESCO urges everyone to exercise their human right to participate in and benefit from science. This right is enshrined in the Universal Declaration of Human Rights, which celebrates its 70th anniversary this year, but it is only when we use this right to join and support scientific endeavours that we can transition to stronger science and reinforce scientific culture in our societies. UNESCO also calls on governments, businesses, civil society and scientists to fully embrace the values of responsible and ethical science, by fully implementing the 2017 UNESCO Recommendation on Science and Scientific Researchers. 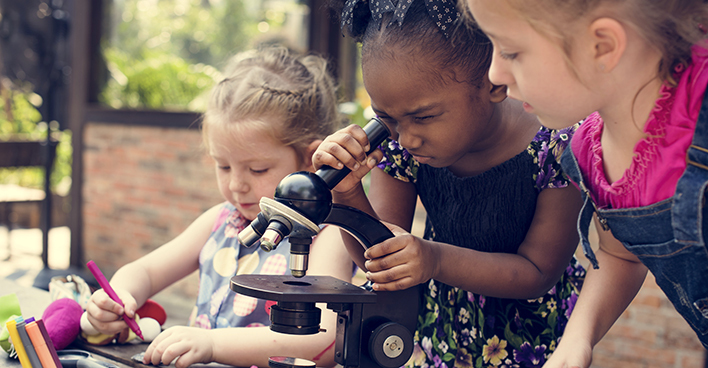 Together, we should strive for greater access to science education - particularly for girls – as well as support Open Science and innovative ways for advancing research. Everyone has a right to participate in and benefit from science, and science centres and museums play an important role in making science accessible to all. They share UNESCO’s objectives of linking science more closely with society, sharing scientific knowledge and fostering the engagement of young people in science, technology and innovation. In the year that the world celebrates the 70th anniversary of the Universal Declaration of Human Rights, UNESCO puts the Human Rights at the heart of the World Science Day for Peace and Development and reaffirms its support to science centres, science museums and regional networks partnering with the Association for Science and Technology Centers. 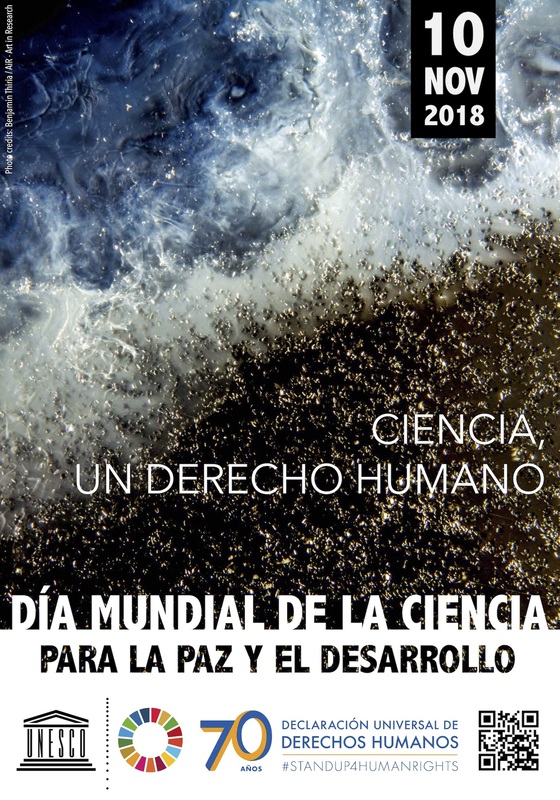 The image chosen for the poster is a scientific photograph, an part of an exhibition that draws paralels between such images and the Universal Declaration of Human Rights. 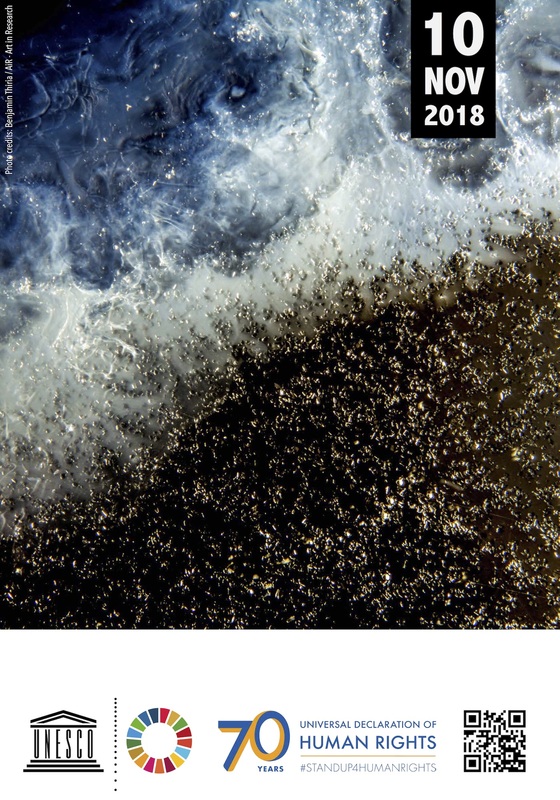 At first glance, this could be a coastline, seen from a satellite or a drone. It is in fact a drop of water containing millions of micro-particles in suspension, which is drying before our eyes and observed through a binocular microscope. This coastal impression evokes the harsh reality experienced by people who, each day, seek asylum in other countries. The image is part of the collection of AiR - Art in Research. This exhibition draws attention to the fundamental, natural beauty hidden in research laboratories. 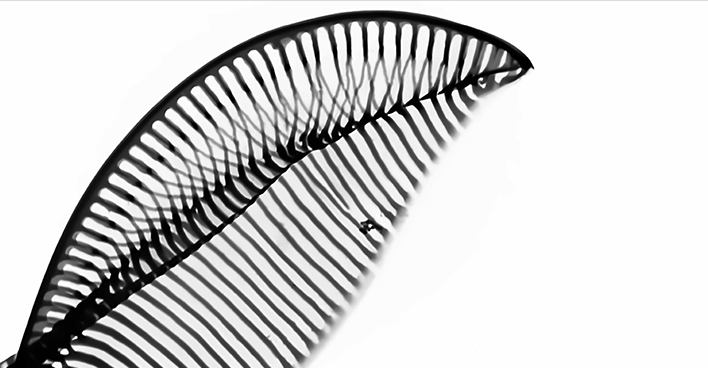 By revealing the invisible, playing with scales of observations, these scientific photographs bewilder and spark the imagination. They are filled with a sense of mystery, yet they expose an indisputable truth. The exhibition links scientific photographs with some of the articles of the Universal Declaration of Human Rights, as an invitation to reflect on the social dimensions of science. We hope that these images will bring to light the beauty of the pursuit of knowledge through research. These parallels were defined together with AiR - Art in Research, an art gallery dedicated to scientific photography. The exhibit is visible on the UNESCO gates, 125 avenue de Suffren, Paris, France. The success of the World Science Day for Peace and Development will depend on the active involvement of many partners such as intergovernmental and non-governmental organizations, scientific and research institutions, professional associations, the media, science teachers and schools. Different activities will be undertaken to mobilize support for the objectives of the World Science Day for Peace and Development. diffuse World Science Day for Peace and Development in your institution or in your town, city or local community, through municipal and state government channels. 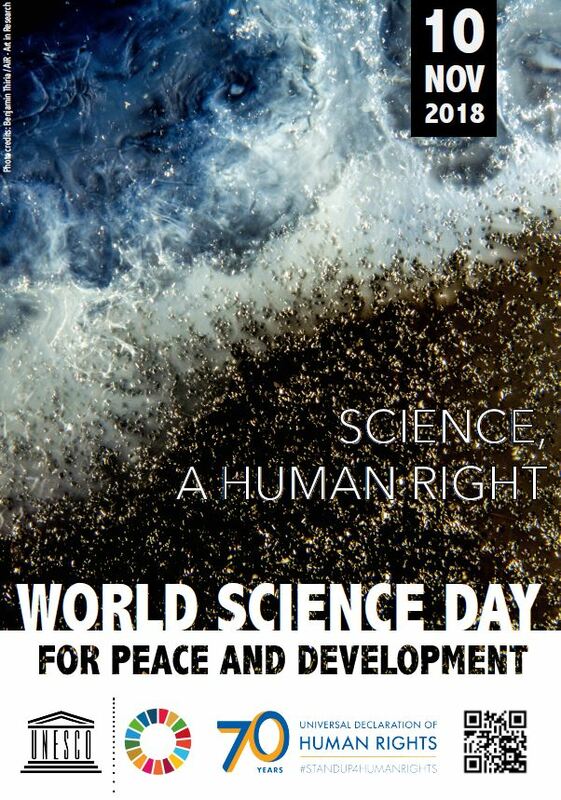 incorporate the messages of World Science Day for Peace and Development into official speeches, publications and other activities taking place on 10 November. contact national and local media (TV, radio, print, electronic) to highlight the importance of celebrating WSDPD at national and local level. write articles and letters about the importance of science for sustainable societies to the media, including industry trade journals, organization newsletters, and school newspapers. an 'Open Day' in your institution to highlight the importance of science for peace and development. classroom discussions to emphasize the many different ways science and technology touch our daily lives. visit local schools to speak about careers in science, deliver scientific presentations or demonstrations to young students. build classroom-to-classroom connections between schools via the Internet to talk about science projects that will interest young people. find a sister institution and carry out a joint activity highlighting the importance of science. invite university faculty to join with community organizations and schools to celebrate the Day. We would be grateful if you could keep us informed on the activities you will organize in order to include your events on this website. Please register your event in celebration of the Day using this form. Event description: 'Science For All". Everyone has right to know all the information of science. Which is the basic right for all. Parallel Science Academy is working on this view. Event description: The fire that consumed the National Museum in Rio de Janeiro alarmed the community that works with science communication in Brazil. It was when the idea to mobilize a network of volunteers to organize the event "Um Brinde ao Museu" emerged. Eight Brazilian cities have engaged in the initiative and will carry out activities to celebrate the World Science Day for Peace and Development: Araraquara (SP), Belo Horizonte (MG), Campo Grande (MS), Campos dos Goytacazes (RJ), Curitiba (PR) ), Diamantina (MG), Marabá (PA) and São Carlos (SP). Each city will have a special program, ranging from chats between researchers and the local community to guided tours and a science fair. Most activities will take place on Saturday, November 10, or during the previous week (days 7 and 9) and the full schedule is available at https://umbrindeaomuseu.wordpress.com/. Event description: The VerCiencia Award (Prêmio VerCiência) is given annually to an outstanding contribution to the spreading of the scientific culture through television. The Premio VerCiencia 2018 goes to the Director (Peter Prestel) and Producer (Uwe Weibrecht) of the German television documentary "The First Americans: a Sensational Discovery in Brasil" (Sensationsfund in Brasilien - Die ersten Amerikaner), broadcast by ZDF in the TERRA-X series. Event description: The Chilean Nuclear Energy Commission (CCHEN), for the second time, opened the doors of the La Reina Nuclear Studies Center. Approximately 250 people attended the event, of which a great part were young people interested in knowing the applications that CCHEN develops in terms of nuclear energy. A fair was organized to show through models, videos and product samples, topics such as the contamination of plasma and blood, the process of lithium extraction, research in agriculture, on environmental radiological surveillance and on the production of radiopharmaceuticals, and other R&D projects. Event description: Students, academic leaders and lectures from ISDR-Kaziba will celebrate the day starting at 12 pm. There will be a walk up to the "Salle Toslefen" the venue of the conference. We plan to print the day poster (on the website) everywhere and make a show at the two local radios and this will serve to raise awareness and invite people to the conference. It means at the end of the walk we will meet people waiting for the conference. The conference-debate from the french word "Conference-debat" is an opened conference of 15min and 30 min of discussion. Event description: The event is organised for local community. This event is designed to spread knowledge about scientific temperament among people and to eliminate the superstitions regarding planets, stars, zodiac signs. It emphasize on to help people recognize the difference between stars,planets,constellation, zodiac signs,Polaris with star gazing and telescope viewing activities. We are planing to show planet Saturn from telescope. Postal address: Nakshtrawan, Kalwa Naka, Thane, Maharashtra, India. Type of event: Series of events: competitionns, workshops, discussions. Event description: EKSADISI is a series of events carried out by an association of science communication activists, Eksakta and supported by CakraDaya Cultural Workers Cooperative, in accommodating the diversity of ideas developed in the public to be socialized and cultivated for the benefit of the masses. As a series of events, EKSADISI consists of several program sessions: competitions, workshops, and discussions; relating to one big storyline. In this year's event, EKSADISI has the main theme, "Inheriting the Diversity of Ideas as Human Rights", which will be inserted and discussed in each series of events. EKSADISI participants include, public in general, cross-interest students, exact and non-exact science activists. Event description: We are going to create an stand up for science and some of our university students will present a performance for the audience (students) with the various topics about science. Event description: In honour of World Science Day for Peace and Development 2018, the Abdus Salam International Centre for Theoretical Physics (ICTP) is hosting a special screening on 9 November of the film "Salam - the first ..... Nobel Laureate" about Nobel prize winning Pakistani physicist and ICTP founder Abdus Salam. The film reveals the extraordinary life of the charismatic Abdus Salam, in all its color, vitality and tragedy. It is the story of a man who traversed two worlds with ease: one of science and religion, modernity and tradition, war and peace and obscurity and celebrity. When he won the Nobel prize in 1979, he became the very first Pakistani to achieve this distinction, and only the fourth from the subcontinent. Event description: Socratic Seminar about the 70th Anniversary of Human Right Universal Declaration and about United Nations SDGs. Event description: Conference and Socratic Seminar about the possibility of a Law Project as Citizens of the World for the introduction of United Nations Sustainable Goals in world school. The draft Law was sent to the Senate of the Italian Republic on december 1st 2017 for the " Un giorno in Senato" project. The Ministry of Education PON project " Cittadinanza Globale: Patrimonio di Pace" by Alexandra d'Epiro won the first place Italy, Lazio on june 14th 2018 and with Alexandra d'Epiro' s report sent to " the World's Largest Lesson" took part in G20 of Ministries of Education 2018 Buenos Aires. Type of event: Public Conference on Citizen Science and Open Data for achieving the UN Sustainable Development Goals(SDGs) by 2030. 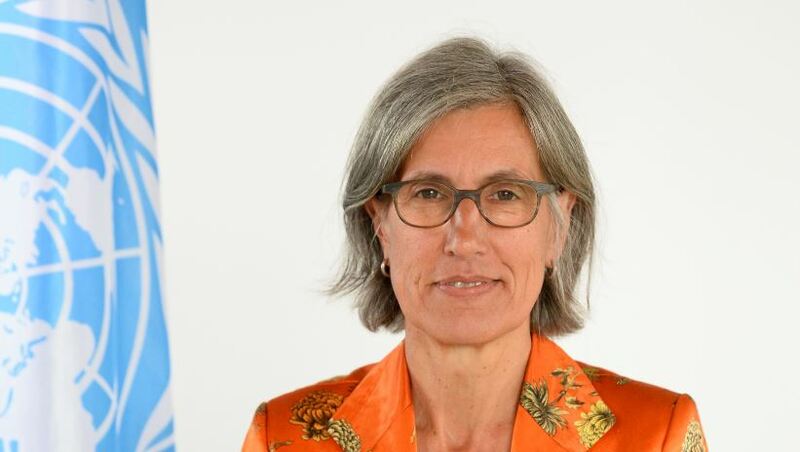 Event description: This event aims at strengthening public engagement for science as well as raising awarness on the importance of citizen science and open data initiatives for bridging data gap in the context of the UN Global Agenda 2030. Event description: Events include physical exercise, exhibition, career talk and quiz. These are designed to enhance the knowledge of the students in science, to let them see some interesting practicals and to motivate them to become scientists. Event description: A seminar will hold for School pupils, their Parents and members of the Community on the importance of science to the Society. The focus will be on the theme - Science; a Human right. Also, school pupils (Preschoolers and Primary pupils) will perform some simple science experiments which would also take the form of Science exhibition. Schools have been invited for the event and no fewer than 200 School pupils will be in attendance.The print media and some other media houses have been invited too in order to give the event publicity. Type of event: Science Exhibition on World Science Day for Peace abd development on 8th November'2018. Event description: Different participants from schools for Science projects exhibition. Students from Nursery till Grade 5 will display relevant projects in their classes. Parents and neighbor schools will be invited. Type of event: Conference titled "Science, a Human Right"
Event description: A conference, in the frame of the Science Week in Bilbao, on the issue of "Science, a Human Right"
Event description: A statement issued prior to the student visit. This engagement altogether corresponds to two categories (1) “spread the word” (“incorporate the messages of World Science Day for Peace and Development into official speeches, publications and other activities taking place on 10 November”); (2) “organise” (“classroom discussions to emphasize the many different ways science and technology touch our daily lives”). 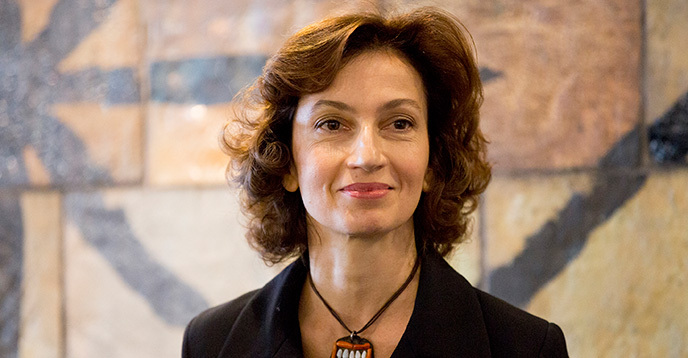 Annual statement issued by Ambassador Maira Mora, Director General of the CBSS Secretariat. This year the celebratory occasion is marked by a visit of students from St Petersburg to the CBSS Secretariat. Along this year´s statement, students will be also informed about various research projects supported by the CBSS Secretariat, most notably, Baltic Science Network and Baltic TRAM, as well as funding opportunities for future engagements in the Baltic Sea Region cooperation. Event description: The celebration of the World Science Day (UNESCO) emphasizes the importance and relevance of science in our everyday lives. By linking science with a closer relationship with society, the World Science Day for Peace and Development aims to ensure that citizens are informed about the development of science. It also emphasizes the role that scientists play in expanding our understanding of the wonderful, fragile planet that we call home and for sustainable development of society. November 11 on the occasion of the World Science Day (UNESCO) celebration at the National Technical University "Kharkiv Polytechnic Institute" will be the Science Festival "Science is FUN!" Science Centres and Science Museums around the world are celebrating the contribution of science for sustinable development on this day - join them for special events on World Science Day for Peace and Development. From the universe expanding to the phones in our pockets, science is everywhere. Each year, on 10 November, the World Science day for Peace and Development helps us remember this fact and offers an opportunity for everyone to engage in scientific debates and activities. The Day marks an occasion to mobilize all actors around the topic of science for peace and development – from government officials to the media to school pupils. By linking science more closely with society, science is made accessible to all and broadens our understanding of the remarkable, fragile planet we call home. It becomes also a more solid stepping-stone towards making our societies more sustainable.